Want to know the most awesome and closest thing to gliding through the skies? 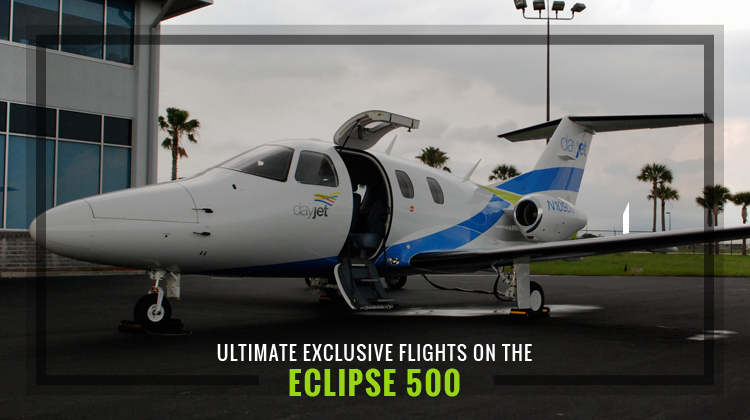 If you’re planning up for a weekend getaway or perhaps you wouldn’t want to get stuck in traffic, riding the Eclipse 500 is the best option you can take. As a Very Light Jet, the Eclipse 500 can accommodate up to 4 passengers per flight. Travelers can choose a more fun option, by traversing through the skies, instead of spending hours of travel time just to reach a nearby location. Why go for a long commute when you can get to your intended place within a matter of minutes? The Eclipse 500 is known to be the smallest twin jet in the world. This compact aircraft was a hit since it got introduced in 2002. Today, hundreds of Eclipse 500 planes are being flown from various parts of the world particularly in the regions of North America and Europe. Being the smallest among other planes doesn’t immediately translate the Eclipse 500 to being noisy. Although two of its engines are attached at the back of its body, the plane’s interiors give the assurance of quietness throughout each flight. Its quiet ride is made possible through a soundproof cabin. Make the most of your precious time and effort by chartering for an Eclipse 500. This aircraft may be meticulously customized to fit the needs of short term passengers. Its features are also very much straight to the point, with emphasis on ensuring each seat will be comfortable for passengers. If you’ll need to have a quick snack or meal en route your destination, you may ask if the chartered plane has tables which can be pulled in front of your seat. Power outlets for chargers would also be helpful especially if you’ll immediately need to use your smartphone or laptop upon arriving at your destination. The Eclipse 500 is quite a fast flyer considering its range capacity. It’s even one of the most well-known aircraft among its counterparts within the same category. Its 375-knot speed isn’t too bad at all for a Small Jet. Given its allowable range, you may choose to plan out your upcoming travel itiniary so you can speedily get to your location. Initially manufactured by Eclipse Aviation and later on by Eclipse Aerospace, the Eclipse 500 was first conceptualized for engine testing purposes. 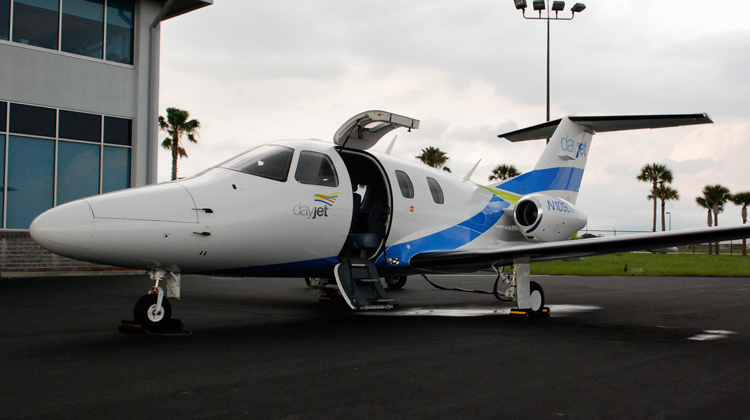 Although it was solely materialized for Research and Development plus flight tests, the Eclipse 500 has created curiosity and eventual buzz in the light jet category. After several design modifications, mechanical upgrades and short-flight amenity improvements, it eventually had its first flight in 2002. The aircraft also received its certification by the Federal Aviation Administration (FAA) in 2006. With more studies and inspection, the Eclipse 500 got another certification from the European Aviation Safety Agency.